Reel Talk Online: The Geek Gang Makes Its Epic Big Screen Debut in "The Avengers"
The Geek Gang Makes Its Epic Big Screen Debut in "The Avengers"
"In the end, it will be every man for himself..."
Those who buried their heads in comic books as young'uns (or continue to do so as adults) will be moved to tears watching the father of all comic geek flicks, The Avengers. But fortunately they're not the only ones who will salivate over the supreme awesomeness of the movie. In a nutshell, The Avengers brings together the ultimate geek gang, characters we've seen take over the big screen recently in their own movies--Captain America, (Chris Evans), Iron Man (Robert Downey, Jr.), The Hulk (Mark Ruffalo), Thor (Chris Hemsworth), Black Widow (Scarlett Johansson), Hawkeye (Jeremy Renner), and Loki (Tom Hiddleston)--who have assembled for one explosive showdown on the playground (i.e. New York City). Primarily picking up where Thor left off with Loki (sorta brother of the god, Thor), deemed an outcast by his own family, still P.O. 'ed this time unleashes the Tesseract, an energy source that threatens the security of the the entire Earth. When S.H.I.E.L.D. director Nick Fury (Samuel L. Jackson) receives word that the planet has been compromised, he decides to get his crew back together to take on the vengeful Loki and his army. 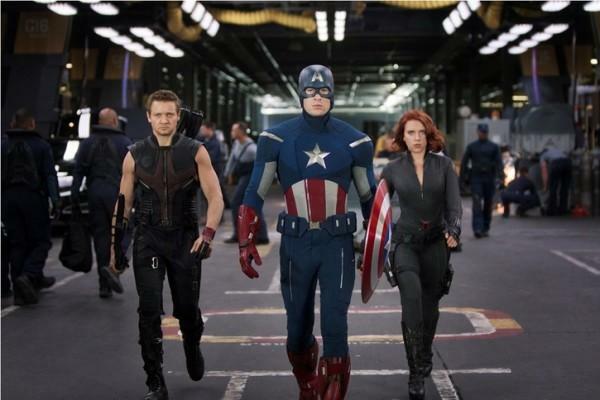 Bringing together the wit and super power of each hero, the movie succeeds at becoming a giant force to be reckoned with. Where it falls short of a more metaphoric storyline (a la The Dark Knight), it makes up for it with unparalleled action sequences, sharp dialogue and... Loki. 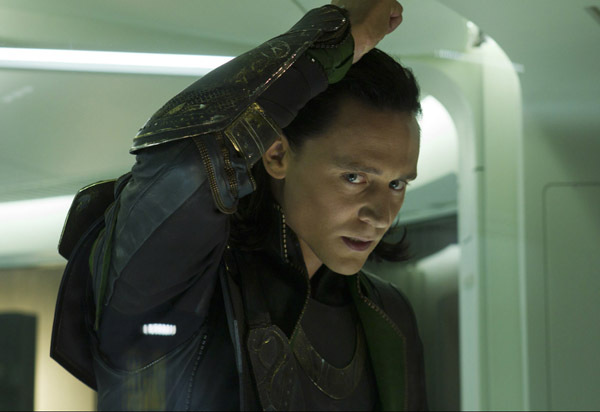 Hiddleston's performance continues to serve as a two-hour audition for a Loki spin-off or Hiddleston's own franchise. While the other characters face off against Loki in power, best served as a glamorous team effort, Hiddleston brilliantly embodies both the vileness and eminent psychology of Loki. 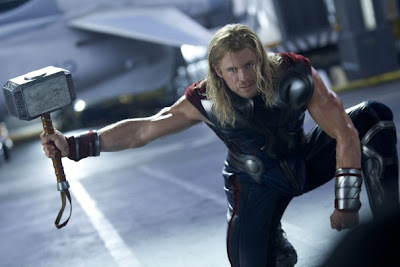 The fact that he can take on the larger than life personalities of the Avengers as one despicable force is commendable. He's simply too fascinating a character to truly hate, which is a testament to Hiddleston's talent. This isn't to say that the other characters don't throw their weight around. Downey's signature arrogant charm (an oxymoron, I know) still warms your heart as the man of steel. His ongoing banter with Evans' eternally humble Captain America never disappoints. 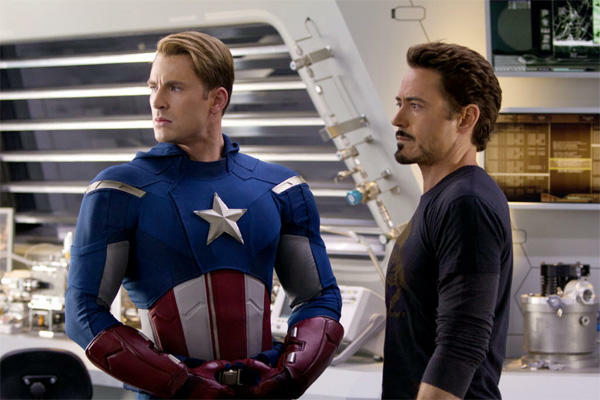 Evans' more portrayal of Captain America works well for the character, who ends up being the cerebral center of the group. Newcomer to the Marvel planet, Ruffalo, is enjoyable to watch, but far captivating to watch once he becomes the ferocious Hulk. 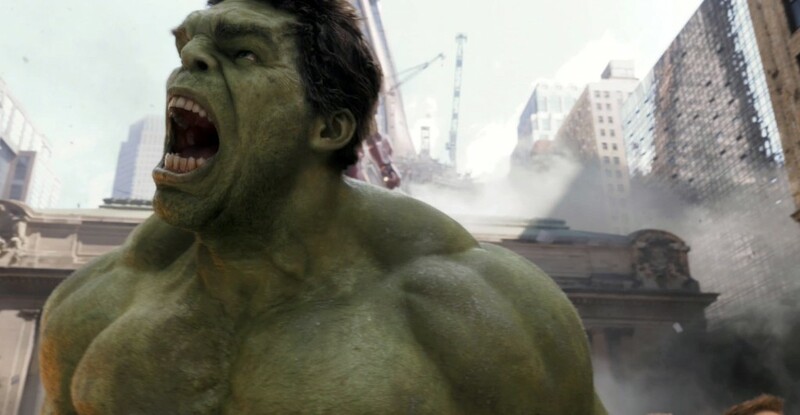 The Hulk's brief but serviceable back story isn't nearly as engaging as the others' in their own films, but Ruffalo makes it work. Speaking of serviceable characters, Johansson's Black Widow is pretty much exactly the same as she was in Iron Man 2. But with one kickass fight scene, she keeps you alert. Meanwhile, Hemsworth's Thor is still devilishly handsome and clearly fighting his own vendetta in the movie, which gives a new name to sibling rivalry. And finally, Renner's understated yet succinctly written Hawkeye proves that Katniss Everdeen isn't the only one handy with a bow and arrow. Although he's not exactly one of the gravity-defying superheroes in the movie, director Joss Whedon, who also co-wrote the screenplay, deserves major props for successfully putting together this juggernaut of a movie that really could have gone either way. The comedic timing, coupled with his ability to maintain the authenticity of the characters, is worthy of praise. 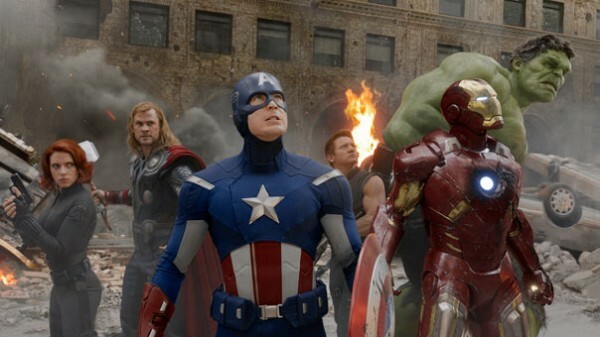 The Avengers delivers a popcorn feast that's the perfect summer kickoff. The casting of Mark Ruffalo as Hulk, was odd to me, but it soooo worked. Hulk steals the show and makes the movie. Wheldon DID do good job of involving everyone. Though I thought we could have been in theater about 30min less. A real achievement across the board, brought back some great childhood memories. I actually liked Scarlett Johansson a lot better in this one. I'm surprised because I thought I'd hate her. Good review Candice. Liked this one a lot and I can’t wait to see what they are able to do with the sequel. Or should I say, I can’t wait to see what Joss Whedon can do with this sequel.